December | 2018 | The British in Crete, 1896 to 1913. The Ottoman Navy steps in. The Graphic. 27 March 1897. Turkish ships bombarding Cretans in Suda bay. The Graphic. 27 March 1897. 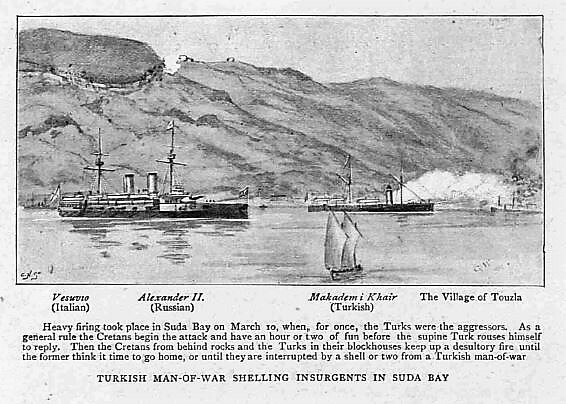 Heavy firing took place in Suda Bay on March 10 when, for once, the Turks were the aggressors. As a general rule the Cretans begin the attack and have an hour or two of fun before the supine Turk rouses himself to reply. Then the Cretans from behind rocks and Turks in their blockhouses keep up a desultory fire until the former think it time to go home, or until they are interrupted by a shell or two from a Turkish man-of-war. The ‘Turkish’ ship referred to appears to be the Ottoman casement ironclad Mukaddeme -i- Hayir. If so, this was probably the last time the vessel saw action. Laid down in 1870 and launched in 1872, she saw action in the Russo-Turkish war of 1877 before being laid up in Constantinople. 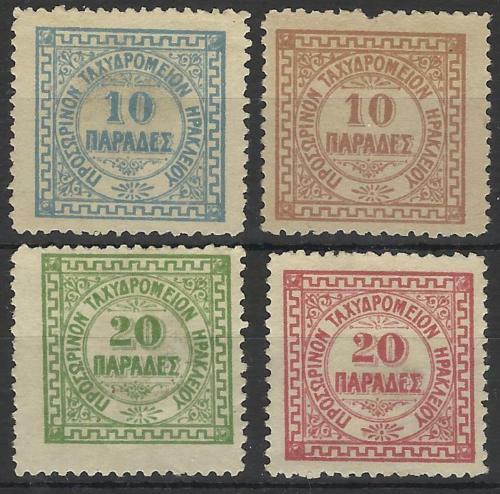 With the outbreak of hostilities in Crete in 1897 and the threat of war with Greece, the Mukaddeme -i- Hayir was inspected with a view to her re-joining the Ottoman fleet. However, the ship was in such a poor state of repair that she was never going to be able to face up to the Greek Navy and consequently her active duties were apparently limited to ‘morale boosting’ tours around the Aegean. It was presumably as part of that tour that she ended up in action off Suda Bay. In 1911 she was converted to a training ship and later into a barracks ship. She was scrapped in 1923. 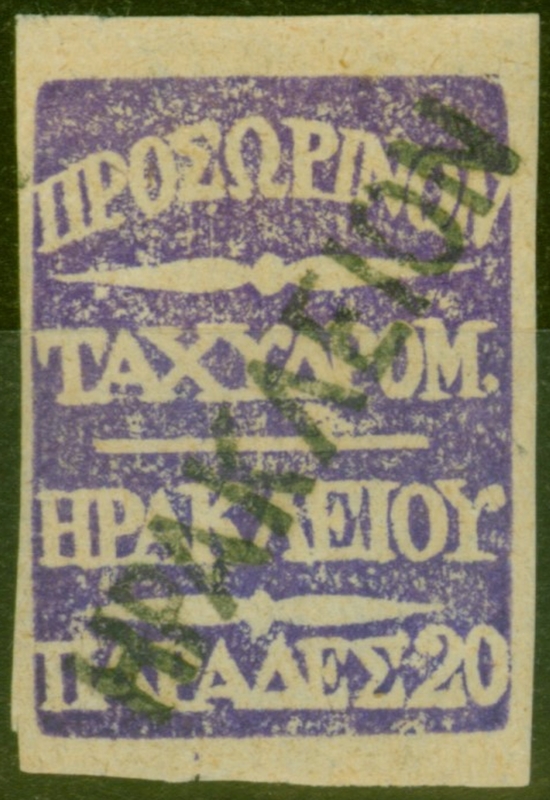 This entry was posted in Cretan Rebels and tagged Crete 1897, MUKADDEME-İ HAYİR, Ottoman Navy Crete 1897, Suda Bay March 1897 on December 28, 2018 by Mick McT.